Of all the gloriously excessive sci-fi blockbusters released in the wake of Star Wars, few are as fondly remembered as 1980’s Flash Gordon. With its candy-colored visuals, high-powered international cast, and indelible theme song (“FLASH! AHHH-AHHHHHHH!! !”), Flash Gordon has endured long after many of its contemporaries have faded (Ice Pirates, anyone?). Yet even many of the film’s die-hard fans may know little about its star, Sam Jones. In Life After Flash, the opening selection in this year’s Boston Sci-Fi Film Festival, director Lisa Downs shines a spotlight on Jones’ life and career, with often surprising results. 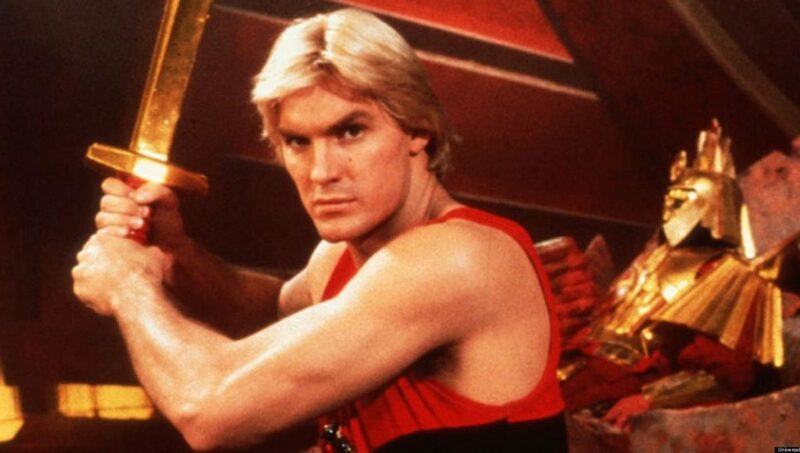 Prior to the film’s screening, we were lucky enough to talk to both Downs and Jones himself about the process of shooting Life After Flash— and Flash Gordon itself. BOSTON HASSLE: What can you tell me about Life After Flash? SAM JONES, subject: Well, it’s a documentary on parts of my life, and I believe it’s a winner, because it’s obviously entertainment-based, but it has additional dynamics going on. It’s inspirational. It’s uplifting. I kind of refer to it as “Do’s and Don’ts of Life.” And I’m very transparent. I address issues and decisions I was faced with, why I chose that particular way, the consequences that followed, and how I dealt with the consequences. I think it’s really going to go over well with all different age demographics. 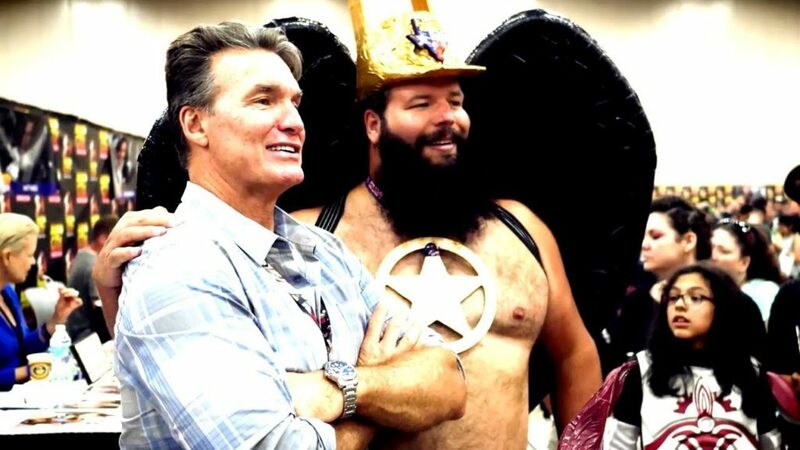 LISA DOWNS, director: I was a big fan of Flash Gordon growing up, and I stumbled across the opportunity to do a documentary on Sam’s life, and it kind of graduated into this celebration of Flash Gordon. It’s been quite an interesting journey. It’s [a film] that I wanted to make slightly different from a lot of these makings-of that are around at the moment. I wanted to incorporate this personal, almost biography part of it. It’s a film that I think fans might see as the sequel that never happened to Flash Gordon. I hope that people come away learning something about Sam, and about themselves. It’s a film that we tried to put a lot of messages into as well. Having seen what Sam went through, and how he overcame that, I think there’s some really important messages in there. And I hope that people are reminded of how much they love Flash Gordon watching it. BH: Stepping back a little bit, how did you come to star in Flash Gordon? SJ: Well, it was the audition process way back then. We filmed it in ‘79, the audition process started in ‘78. It was a bunch of meetings with [Hollywood mega-producer] Dino de Laurentiis, and that went on for maybe eight months, and then they flew me to London for the old fashioned Hollywood screen test, where they actually put you on film– make up, hair department, wardrobe, camera crew, film crew– and that lasted about thirty days. BH: What was it like making the film itself? I imagine with both the special effects and the other notable actors that it was quite an experience. SJ: It was. I mean, in the beginning it was a bit overwhelming. It was my second film– my first film was 10, with Bo Derek– but this was my first lead role. In the beginning, of course, the other actors were big names, the sets were enormous, Dino de Laurentiis was iconic, and so in the very beginning it became a bit overwhelming for me. So I decided I had to eliminate all of that, all the nonsense and the hoopla, and just focus on what is expected of me, and what is my job at hand. When I did that, then it worked out really well. BH: Without necessarily spoiling the documentary itself, what sort of effect did it have on your life and career following the film? SJ: Oh, you know, definitely ups and downs. Obviously, the truth comes out in the movie about the relationship between Dino de Laurentiis and myself. We bumped heads a little bit, but obviously I think Dino, the producer, and Mike Hodges, the director, they actually accomplished what they wanted. I think everybody just did their job, and we got over any personal issues on the set, and it turned out to be a cult classic. The downside, if there is one, is I signed a six-picture deal, and of course that never happened. And it’s just the nature of the business I think. I mean, I went on to do 63 more films, and hundreds of television shows, and it’s been a wonderful life. And even at my age now, it seems to– I know you hear the old cliche, “It’s getting better,” but I really believe it is, you know? I mean, as far as the acting– yes, that’s important, that’s the profession– but I think we become better actors if we become better human beings, and we grow and mature in life. And I think that’s what’s been happening to me in the past [few] years. BH: Lisa, were you familiar at all with Sam’s story following his appearance in Flash Gordon before you made the movie, or was it something that you came across as you were shooting? LD: I completely came across it as we were shooting, and that was one of the hardest things when we started. A lot of my friends are in the industry, and I would talk to them about it, and they would say, “Well, where’s the story? Where’s the drama? Where’s the three-act structure? Where’s the arc?” And I was like, “I don’t know yet!” You know? We were just filming. I knew that I wanted to ask some personal questions. I had an idea of what had happened on set. I’d heard rumors that something had happened, and I knew about that– or I thought I knew about that. But as far as the personal story goes, you can’t just google it. There’s nothing out there about his life. So it really was, with every interview, I’d kind of go a bit deeper into the personal side of it, and it was when his friends allowed me to interview them– and they were very honest about everything– that’s when it all kind of opened up. It was a really interesting journey as a fan, getting to know Sam, and also as a filmmaker not knowing where the story’s going to go! [laughs] After every interview I would change the structure and reshift the edit around– “Okay, now I know this, so I’ll try to put it here.” And it was quite an interesting journey. BH: How did you approach Sam? Was he forthcoming with his story? BH: In addition to Sam and his family, you also interview a lot of notable fans of the film. How did you come into contact with them? Were there any that surprised you to find? LD: There were multiple ways. A lot was shot at Comic Con. That was interesting in itself, because there were such incredible names there that I would never think of approaching if I was trying to find them outside of that. When you’re in this environment where you can talk to people– just go up to them and talk to them– you realize how much of a fan they are. Robert Rodriguez was actually queuing at Sam and [co-star] Melody [Anderson]’s table to get an autograph, just like the other fans, because he loves the film so much. It was great in those environments, because you’re surrounded by this energy of everyone just loving and appreciating sci-fi and films. And then you get to talk to them and realize that they are just like you, and they love the same films as you. I had never been to a comic con before this film, so that for me was a great learning experience. BH: With the resurgence of interest in Queen in the last year, with Bohemian Rhapsody, have you noticed the theme song coming back up around you? SJ: Oh, it has, yeah. You know, I’ll go walking down the street, and you’ll see somebody walking towards me who recognizes me, but instead of interrupting my day or whatever, they’ll just walk by me– they won’t say anything, but as they pass me, they will hum, or whistle, or sing the Flash theme! So it’s a way of giving you respect, but not getting in your space. BH: In the past ten years or so, there’s been sort of a shift in pop culture, where a lot of the mainstream pop culture is these sort of more nerdy or genre or sci-fi properties. Do you think the reception to the film might be different had it come out now, as opposed to in the 1980s? LD: I think you would have to market it almost as a spoof, you know? It would end up like The Room— “Is it supposed to be a joke, or is it serious?” Back then it was this huge epic marvel with the colors and the music, whereas now you’re so used to 3D and VR and all these different approaches of filmmaking. I also think it’s a funny film that, if you see it as an adult now, it wouldn’t hold up. I feel like 80, 90 percent of the fans are people who loved it as a kid, and they have that nostalgia with them as they watch it. But I feel like also now people just want so much in a film that it might be just a bit of a basic story, even if it was done in a modern sense, which is why I’m interested to see what happens with this reboot that’s coming out, and how they do it. People want everything in a film– teenagers especially, I think, and younger audiences. I mean, I just think it’s special because I remember it growing up. I don’t know, it’s a tricky one. I’m pretty happy that it’s from the 1980s and it’ll stay that way, to be honest. BH: What message do you hope people take away from seeing LIfe After Flash? SJ: I hope they take away just common sense, practical thinking. The human condition is what it is, and, you know, if we’re of age, we can’t be acting like victims our whole life. We need to do something about it. I think for me, number one, be an excellent listener. Number two, don’t take offense so easily at what people say or do, because it’s the human condition. A lot of people are operating in ignorance and fear, and they just don’t know any better. And the third thing to do is just to make people laugh. Just be a blessing to everybody, no matter what. Be a blessing coming, be a blessing going. No matter what. And when I talk about people being ignorant, I’m not talking about stupidity or foolishness. Stupidity and foolishness is, you already know, you’ve already been taught that this is the wrong decision, and you do it anyway. Ignorance is you don’t have the knowledge yet. You don’t know yet. Fear and ignorance are basically hand in hand. You know, we fear things because we haven’t received the knowledge that, oh, doing this may be risky, but it’s good for us. I would just eliminate every bit of fear, because fear is a liar, and ignorance is debilitating. It really is. Just try to get as much knowledge, and try to get as much advice as you can from people who are giving good advice, you know? The old saying has always worked for me: You show me your friends, and I’ll show you your future. So if there’s any people, friends or associates, in your inner circle that are negative, and using hatred– as you know right now, half of America is split. Half of America is hatred, and the other half is trying to use common sense and practical thinking in building people up. But if there’s people in your inner circle that are bringing you down, and negative, don’t walk– run! Run as fast as you can, and don’t look back. Because, that’s what they do! [laughs] They can’t sleep at night unless they cause other people to hate, and other people to agree with them. So get out of there, and run! Life After Flash premieres on VOD 2/26, and on DVD and Blu-Ray 3/26. For more information, check out the film’s official website, or follow it on Twitter or Facebook.